The sequence above features thirteen photos of the partial lunar eclipse that occurred early in the morning of June 26, 2010 as viewed from the dock in Port Orford, Oregon looking west toward the Port Orford Heads. 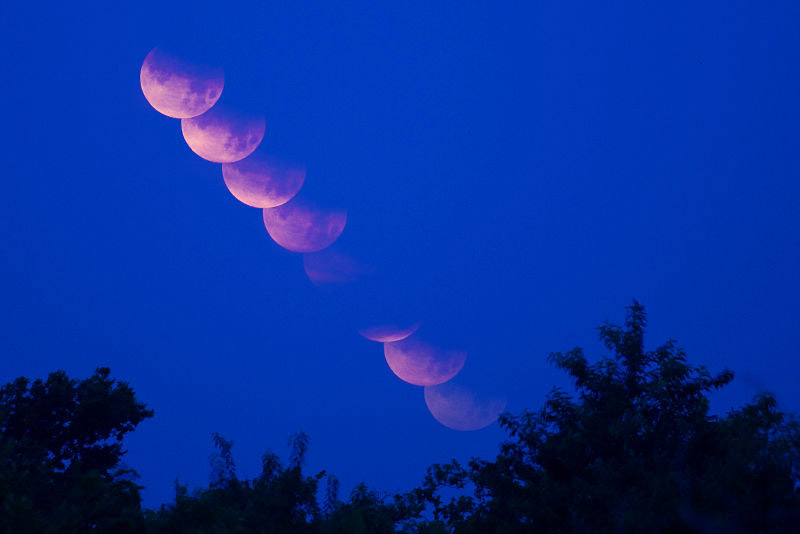 The first image was taken at 3:20 a.m. and the last image was taken at 5:30 a.m. At its maximum, 54 percent of the Moon was eclipsed by the Earth's shadow. When a partial eclipse occurs, the Sun, Earth and Moon are imperfectly aligned so that only a portion of the Moon moves through the umbra of the Earth's shadow. The next total lunar eclipse will occur later this year; on December 21. Notice how the lunar disk is reddened as it approaches the horizon. Because of the increasing path length of moonlight as the Moon sets, the shorter wavelengths of moonlight (green blue and violet light) are scattered from our view -- as is the case with the setting Sun. 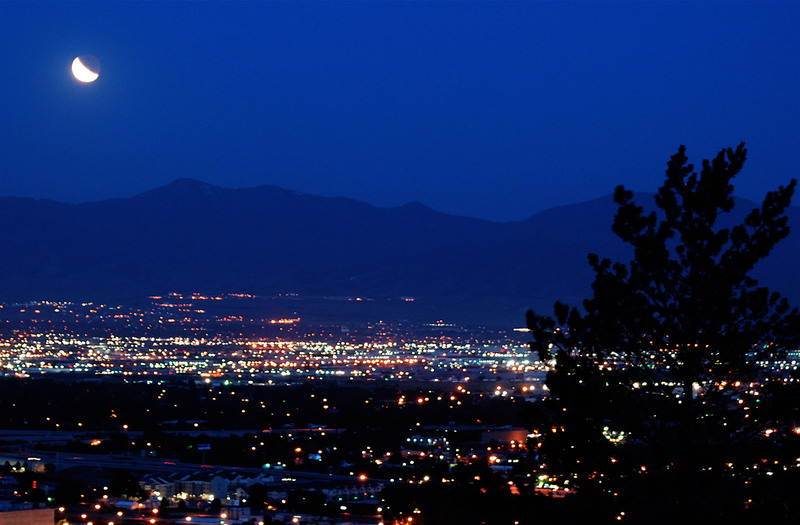 In general, the greater the number of particles or aerosols in the air, the redder the Moon appears.